Welcome to the Solar System twilight observing program at Keck Observatory! Our solar system is a diverse and dynamic place. 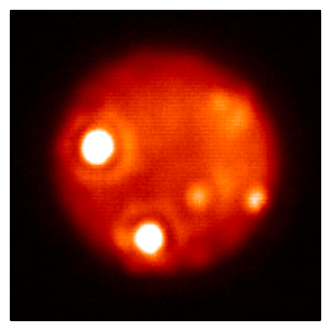 From the volcanic eruptions on Io to the massive storm systems of Uranus and Neptune and Titan‘s seasonal clouds, many planetary phenomena take place rapidly and change from week to week or even day to day. Understanding these phenomena, including the physics that governs them and how they change over time, requires frequent and closely-spaced (cadenced) observations. Solar system objects are much brighter than many astrophysical targets, and the Keck telescopes 10-meter mirrors allow high-quality images to be obtained in only a few minutes‘ time. 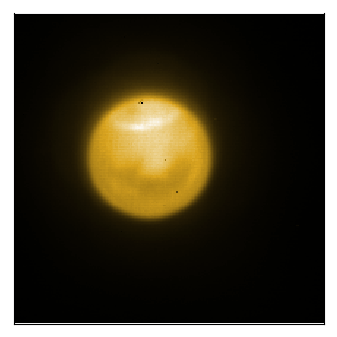 The infrared wavelengths detected by the NIRC2 instrument are perfectly suited to observations of this type: Io‘s hot volcanoes shine brightly in the infrared, and the specific properties of molecules like methane and ammonia mean that infrared images of dense atmospheres contain information on their compositions. 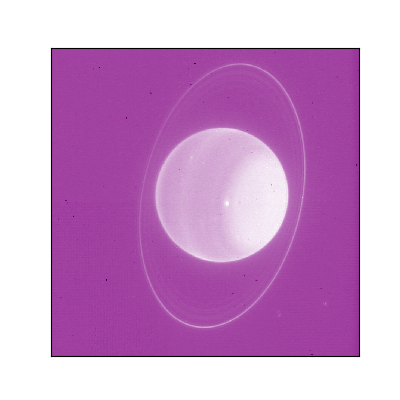 We also take advantage of Keck‘s adaptive optics system, which turns a blurry disk of light into the crisp, high-resolution images shown above. Click on the view all images buttons above to learn more about our science objectives i for each planet or moon. 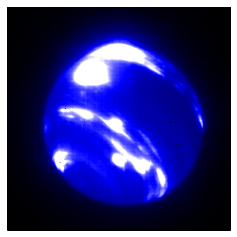 We would like to invite your participation in obtaining cadence data of time-variable planets and satellites! Press the Plan Observations button to generate observing information and instructions for a specific date. Important note: The function to download the target list to the WMKO starlist directory will only work if you are in the internal Keck network and access the planning area using the Twilight Zone web site running on the Keck internal web server.